Kingman Historic Theatre: Man of Steel is showing this weekend at the Kingman Historic Theatre! Man of Steel is showing this weekend at the Kingman Historic Theatre! 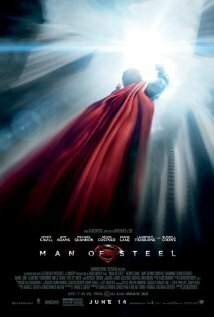 This weekend the Kingman Historic Theatre will be showing Man of Steel at 7:30 P.M. on Friday, July 5 and Saturday, July 6 and at 5:00 P.M. on Sunday, July 7. This movie is rated PG-13 and stars Henry Cavill, Amy Adams, and Michael Shannon. In this superman story, a young itinerant worker is forced to confront his secret extraterrestrial heritage when Earth is invaded by members of his race. Check out the Man of Steel trailer.